Cordone has integrated his family and his personal life into his businesses,..
Cordone has integrated his family and his personal life into his businesses, throwing out the tired goal of “work-life balance.” He enjoys it all, so boundaries are unnecessary. And, he’s been monumentally successful. Given Cordone’s powerful global presence, it shocks me when I meet a business owner who has not heard of him. You’d have to be living under a rock—and not just because you’re not tapped into Cordone’s sales seminars or his social media marketing. He’s also the founder of the annual 10X Growth Con event—a business pilgrimage that recently boasted 12,000 attendees, filling the main arena at Mandalay Bay in Vegas. (Incidentally, it’s also where one of the speakers, Russell Brunson, sold $3 million worth of product from stage in a single one-hour talk). I mention all of this to you because you need to be studying what Cordone does. You’re doing your business, your customers, and your team members a massive disservice if you are not learning from his sales training. And sure, some of you may think he comes on too strong or is too “pushy.” But you don’t have to like Cardone to learn from him. Personally, I think he’s a riot. In fact, he’s one of the only people I watch consistently on social media—both because he’s engaging and because he delivers a lot of value. He will make you a lot of money through his lessons on self-promotion, sales, and above all, persistence. Recently, in fact, Cardone hosted a 2-hour Facebook Live broadcast on overcoming objections when closing a sale. My team transcribed the recording and I’m going through it line by line to extract gold nuggets that will help me sell more $5,000 workshops and $25,000 Mastermind programs on the phone, via email, and through Instagram direct messages. While most people “quit” selling tickets a week or so before an event, Cordone doesn’t put on the breaks. For the very seminar he was speaking at, he sold people up until the very last minute on social media. But he went even further. On the second day of the three-day seminar, he was back on social media selling tickets to the one day that was left. What? There really is NO quit to this guy. I mean, who sells tickets to half of a seminar? Cordone. And you know what? I’ll bet he sold at least a few because he had massive social proof from video footage of the previous days’ events. Take my workshop for example. Because it’s a high-ticket item, it has a longer sales cycle than a $97 online course. Once someone shows me interest, it might take months to register and complete the sale. During that time, they’ll be consuming my video content online, receiving my monthly print newsletter, reading my book, seeing me speak at events, and receiving nudges from me via email, text, or Instagram direct messages. This morning, I experienced proof that this follow-up works. Two months ago, a prospect named Kim reached out to me (on Instagram) about my program. Three days later, we had a 30-minute sales call. I failed to close the sale on the call. But I didn’t quit. I continued to create great social media content (which she liked and commented on). I asked one of my clients, a friend of Kim, to give her a polite nudge to attend the event. Every two weeks, I followed up with Kim asking if she was still interested. Then she “went dark.” I didn’t hear from her for nearly three weeks. Then I woke up this morning to see that she had made her first payment for a workshop. Persistence pays off. And while a build-as-you go approach like mine works, planned persistence is even better. At his sales training seminar last month (the one I mentioned above), one of Cardone’s most valuable exercises was having every attendee write out a detailed, 30-day blueprint of follow-up actions for the leads that come into their business. For example, let’s say you own a brick-and-mortar store on Main Street. A prospect stops in and looks around but doesn’t buy. Now, since follow-up requires contact information, you need to create a way to capture an email address, perhaps through a giveaway offer. What do all of these emails have in common? Value. You must give your clients value in every communication. “Be a welcome guest, not an uninvited pest,” as the old saying goes. Always give prospects a reason to buy, and don’t hesitate to be relentless when you know that someone wants or needs your services. The only thing you must never give your prospects is the white flag of surrender. For example, in my business, if you’re a qualified prospect who has shown interest in my coaching program, I’m never giving up on you. “You’ve come too far to only come this far,” I like to say, and I’m going to do everything I can to get you the help you need to live your Perfect Life and grow your business while making more time for your family. 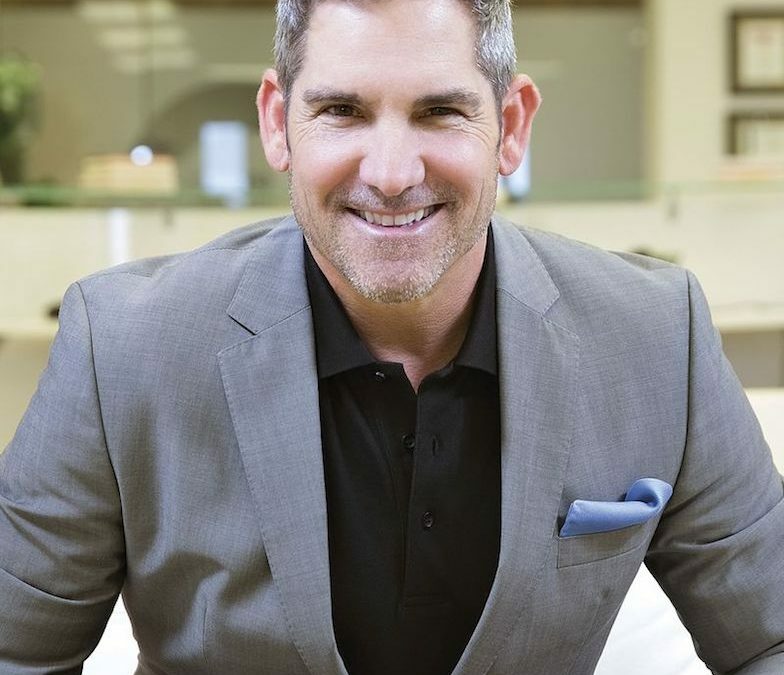 Many of my prospects balk at the price, but “price is never the real issue,” Cardone says. Instead, he argues, that objection can be turned into a benefit. The price shows value; it dwarfs next to the money the client WILL make if they sign up for coaching. It’s not an expense; it’s the wisest investment a prospect will ever make. Cordone is a master at overcoming objections like these. In fact, he has an entire manual designed to help closers squash objections and close sales. Too aggressive, you say? I don’t think so. In fact, I think he’s positive and entertaining while being tenacious. And he doesn’t apologize for any of it. He shouldn’t. What he teaches is exactly what YOU need to succeed at business. A lot of those lessons are offered for free—via Cordone’s social media accounts; his website; and his blog posts. If you want to overcome your tumultuous relationship with money and your persistent fear of sales, then you need to “learn and earn” from Cordone’s methods. There are other benefits to Cordone’s methods, too. If you follow his lead, you’ll become a more effective communicator, a stronger partner, a more adept negotiator, a respected leader, and a more confident person. So don’t roll your eyes at Cordone or his advice. There’s a reason he has been so successful—financially, professionally, and personally. He doesn’t play by others’ rules, he doesn’t give up, and he’s willing to push boundaries. Follow him and learn. Dig deep. Become a better salesperson. Know your own potential. If you do, you, too, will become a master in the art of living the good life. Grant Cordone’s success is all about discipline. Get your own discipline with this millionaire-vetted Morning Routine. Craig Ballantyne has been the co-owner of Early to Rise since 2011. He's the author of "The Perfect Day Formula," and now coaches entrepreneurs and executives to become hyper-productive and more successful at sales, marketing, and leadership. You can learn from Craig at his Perfect Life Retreat event and you can follow him on Instagram @RealCraigBallantyne and Twitter @craigballantyne for his daily insights and pictures from his travels around the world. You can also read more of his content at earlytorise.com.